As Native American-led protests against the Dakota Access pipeline continue, major national unions that represent pipeline workers in Illinois have come out in support of the pipeline, despite environmental concerns about the potential for rupture in and around water resources, and the impact to farmland quality. In Illinois, the Dakota Access pipeline crosses through 12 counties and under 56 rivers, potentially affecting community water supplies for the towns of Carlinville, Carlyle, Greenville, Hamilton, Modesto, Nauvoo, Patoka, Palmyra, Sorento, Warsaw and surrounding communities. A burst or malfunction in the pipeline could impact 27,382 people’s water supply in Illinois, according to an estimate by Andrew Rehn, a Water Resources Engineer at the Prairie Rivers Network, an organization that advocates for Illinois’ clean water and healthy rivers. “Pipelines break every day. We don’t know if this pipeline is going to burst. The reality is that these are the communities that would be threatened if something happens,” said Rehn. The 1,172-mile Dakota Access Pipeline (DAPL), being built by Energy Transfer Partners, crosses four states and is designed to connect the large source of crude oil in the Bakken oil fields of North Dakota to Patoka, Illinois, a major oil transportation hub in the country. Patoka is a central location in the national oil infrastructure, and has been used to carry oil primarily from southern and foreign markets to northern markets. Now, much of the oil in this country comes from the Bakken/Three Forks hills of North Dakota as well as from Alberta, Canada and is transported to southern states and to the Gulf of Mexico to be exported. The first XL pipeline, which transports oil from Alberta, Canada to the United States, terminates in Patoka. 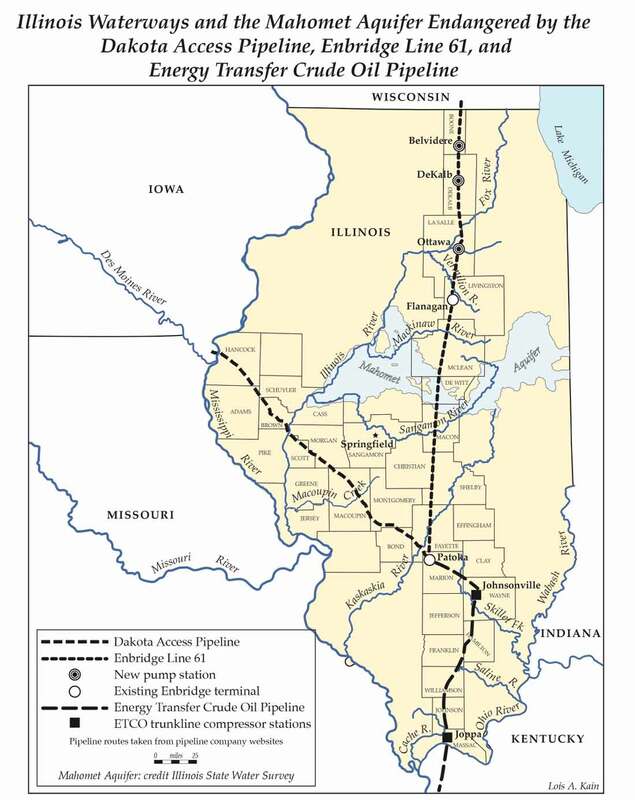 In mid-Dec. 2015, the Illinois Commerce Commission, which is responsible for granting permits to pipelines in the state, approved construction by Energy Transfer Partners of the 177-mile segment of the pipeline through Illinois. The Illinois Department of Natural Resources, Illinois Department of Agriculture, and Illinois Environmental Protection Agency also approved permits for construction. 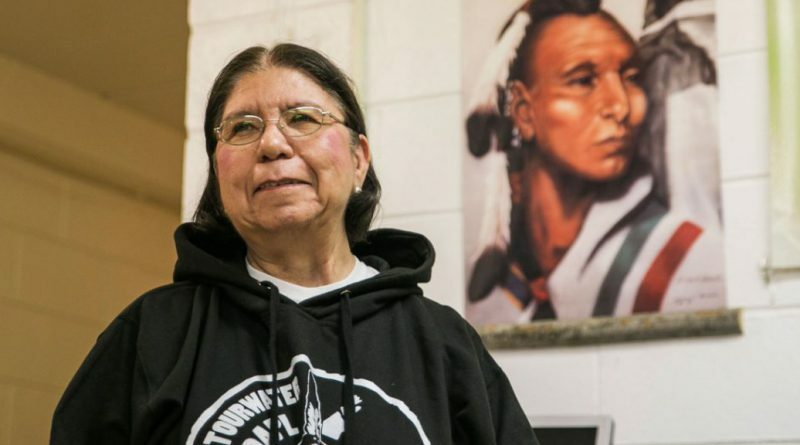 Dorene Wiese, a member of the White Earth Band of Ojibwe and head of the American Indian Association of Illinois leads the only Native American after-school program for urban Native American youth in Chicago. Wearing a “NoDAPL” shirt, she said she was surprised there wasn’t more opposition to the segment of the pipeline here in Illinois. “In terms of Illinois, it’s been slow to pick up,” said Wiese. “Our stupid state legislators voted for it, saying it will bring jobs to the state. People were really upset. But I don’t think that message has really gotten to the public yet, that this is the same pipeline. That it’s coming this way,” said Weise. Energy Transfer Partners currently has the support of major unions that represent pipeline workers, including Laborers’ International Union of North America (LIUNA), International Union of Operating Engineers (IUOE), International Brotherhood of Teamsters (IBT), United Association (UA) and International Brotherhood of Electrical workers (IBEW). The unions claimed in a letter sent to President Obama on Oct. 3 that 8,000 of their union rank and file members were enjoying gainful employment working on the pipeline. The letter called on Obama to stop halting construction of the pipeline. “The project is being built with an all-union workforce and workers are earning family-sustaining wages, with family health care and retirement contributions. The project delays are already putting members out of work and causing hardships for thousands of families,” the letter said. LIUNA represents 1,100 Dakota Access pipeline workers, said Marley Clements, a spokesperson from LIUNA. Clements said workers on the pipeline make competitive salaries, and Energy Transfer Partners has not violated any labor agreements. Moreover, Clements said LIUNA supports the Standing Rock Sioux, but believes misinformation has clouded the debate. In August, LIUNA, IUOE, IBT and UA publicly released a letter to North Dakota Governor Jack Dalrymple, urging him to ensure that pipeline workers can continue to work. “We strongly encourage you to utilize the power of your office to keep our workers safe and to ensure protestors are following the letter of the law of North Dakota,” the letter stated. On Nov. 20, the Morton County Sheriff’s Department in North Dakota and assisting agencies unleashed tear gas, water canons and hoses in freezing weather, injuring more than 200 protesters, according to a National Lawyers Guild press release. The Guild is filing a lawsuit against Morton County for excessive force against the protesters. Clements said environmentalists have made the Native American concerns at Standing Rock into a PR campaign. While union versus environmentalist clashes are not new, especially in regard to energy infrastructure, the Native American-led protest at Standing Rock has received immense support from many corners of the country and world, including from unions. An outpouring of labor support for Standing Rock has come from unions across the country such as the Amalgamated Transit Union (ATU), National Nurses United (NNU), and Communications Workers of America (CWA). “Labor for Standing Rock,” a group of rank and file workers started online, recently organized a delegation to the Oceti Sakowin camp in North Dakota, challenging the support of the pipeline by major unions. There is a clash within unions as well. While the labor debate has played out publicly in other parts of the country, in Illinois, the union clash has been less public, perhaps because the specific portion of the pipeline that is currently being constructed through Illinois is still not widely debated. Although opposition to the pipeline in Illinois hasn’t been as pronounced as elsewhere, grassroots resistance can be traced back to when the pipeline was first introduced in the state. “We did try to fight the Dakota Access Pipeline in the Illinois Chamber of Commerce,” said Paul Berland, a member of Save our Illinois Land (SOIL), a group that started online to block pipelines in Illinois and now has 50 active members. Jessica Fujan, the Midwest region director of Food and Water Watch was involved in Iowa on a strategy to ban the Dakota Access pipeline in individual counties. Fujan, along with chapters of the Sierra Club and SOIL organized days of action in Illinois at the Army Corps of Engineers offices on Nov. 15. The protest in Chicago drew a crowd of more than 1,000 people. In Champaign, IL, the action drew another 50 people. Food and Water Watch delivered more than 50,000 letters to the Army Corps that day urging them to rescind permits for the pipeline. 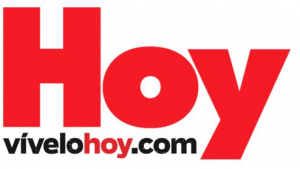 “A lot of our work is focused on finding a federal solution and encouraging executive action by President Obama in terms of rescinding the permits granted to the Army Corps of Engineers,” said Fujan. The Army Corps is the agency responsible for granting four of the five federal permits to Energy Transfer Partners. According to a State of Illinois Commerce Commission document, Energy Transfer Partners began consultation with the Army Corps on the permits in 2014, and the Army Corps agreed to have monthly consultations with Energy Transfer Partners regarding the federal permits during construction. Pressure on the Army Corps and President Obama has come from other venues in Illinois as well. The Urbana City Council passed a resolution on Sept. 19, opposing the Dakota Access Pipeline and urging President Obama to reconsider the permits. The resolution was approved by Urbana Mayor Laurel Lunt Prussing two days later. The NRDC’s Mogerman said he thinks the Standing Rock Sioux protests have given pipelines a higher profile, but people are still not aware of the pipeline infrastructure in their midst. One of those pipelines is Enbridge Line 61, which is run by Enbridge Energy. The company is constructing additional pumps on an already existing pipeline that runs through the center of Illinois. The pipeline which currently transports 560,000 barrels per day of crude oil will have the capacity to transport 1.2 million barrels per day. Enbridge runs through the Mahomet Aquifer, the major groundwater resource for east-central Illinois. It provides water for approximately 800,000 people, according to the Prairie Research Institute at the University of Illinois at Urbana-Champaign. The expansion of the Enbridge pipeline runs south from Flanagan to Patoka, and is expected to be completed by the end of the year, according to Enbridge’s website. Stuart Levy works with the Sierra Club Prairie Group in Champaign and SOIL. He said he and others are taking lessons from the failures of organizing against the Dakota Access pipeline here in Illinois to their organizing efforts against the Enbridge pipeline expansion. “For the extension to go forward, it depends on all landowners on the route,” he added. 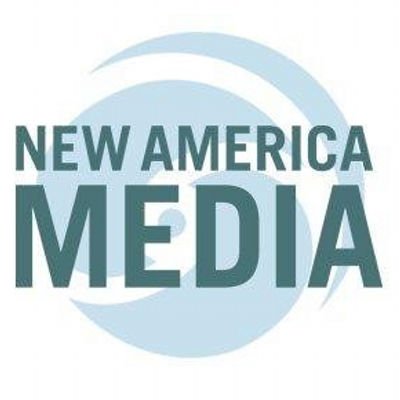 This story and others on the Standing Rock-Dakota Access Pipeline controversy have been supported in part by SJNN and the McCormick Foundation.